One of the greatest series of cars to launch into the Geneva International Motor Show this year was Rolls Royce’s Bespoke cars. All the way from their headquarters in Goodwood, West Sussex, the car brand is renown for accessorising the look and feel of luxury. First off the racing mark is their Phantom Tranquility, which is the first unit in its series. This Phantom is tranquil as anything. A 25-unit production line offers the ‘stillness and serenity’ of space’. It even features a Muonionalusta meteorite (which fell in Sweden in 1906) in the interior, which sounds damn-right awesome. 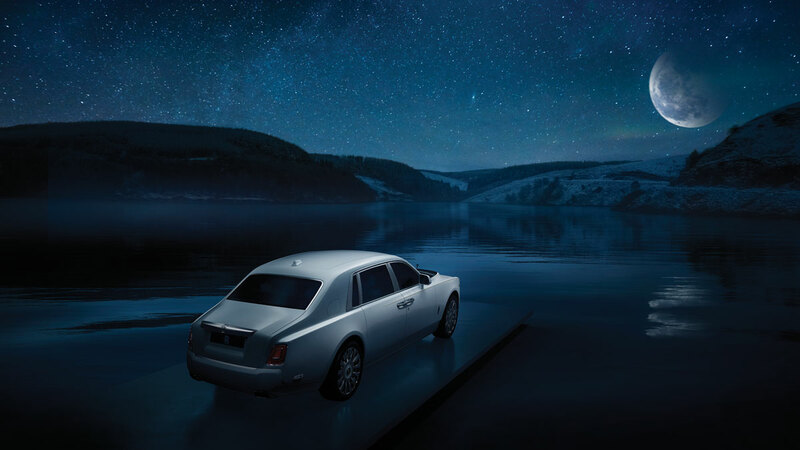 Marked as one of the most desirable objects on the planet, the Phantom Tranquility is a car that Rolls Royce just had to feature in this years GIMS. This collection of cars also feature a Phantom Extended Wheelbase. Space discovery plays a huge part in the design too, with distinctive pattern systems shadowing and rendering in the reflective stainless steel. 24-karat gold plating and aluminum dons the car and offers the body as a piece of art, not just a typical car. The whole car can be controlled by voice communication and AI too. Next, Black Badge Wraith. The two-door coupe looks as you’d expect – slick and sheen, playing to reflect contrast in Rolls-Royce’s other colourways. It drives with a sports exhaust system with a V12 6.6 litre engine, so has a lot of oomph, going up to 249 kilometres per hour. Inside, the black exterior truly ‘unleash[es] a darker dynamism’. 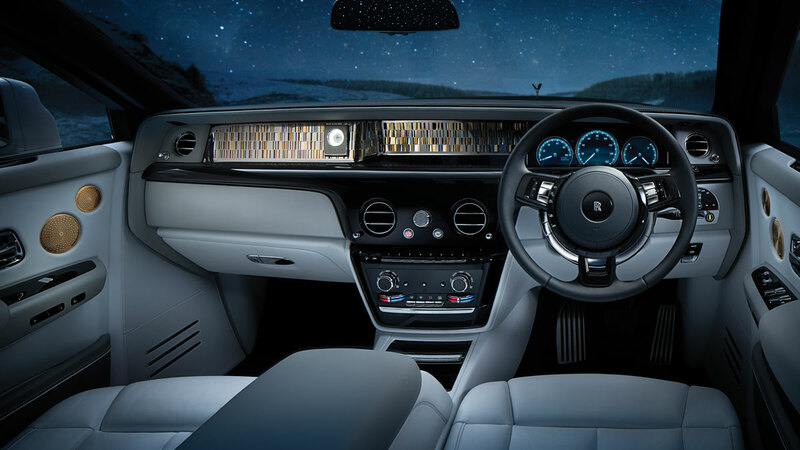 With technical fibres and integrated patterns working along the cabin, that regular line of Black Badge Bespoke are taking a step forward in connecting to the luxury of nightime. And of course, everything is electric and AI.